CODATU: Agir pour une mobilité soutenable dans les villes en développement > Actualités > Workshop in Hyderabad: Public Transport, Mobility and Metropolitan Strategies: how to transform cities for a better accessibility? and the Urban Community of Bordeaux (France) organized a one-day workshop in Hyderabad, on Monday, November 24th, at the Taj Deccan Hotel. This seminar launched a one-year cooperation programme on urban mobility between Hyderabad Authorities and Bordeaux Metropole. The partnership between Hyderabad and Bordeaux Local Authorities on urban mobility is also part of a programme led by CODATU to promote sustainable urban mobility policy through city-to-city cooperation. For the last 15 years, Bordeaux Metropole has been developing a successful urban mobility policy which transformed deeply the city and made it one of the most attractive agglomeration in France. Hyderabad will drastically change within the next years thanks to the opening of the future Metro network. 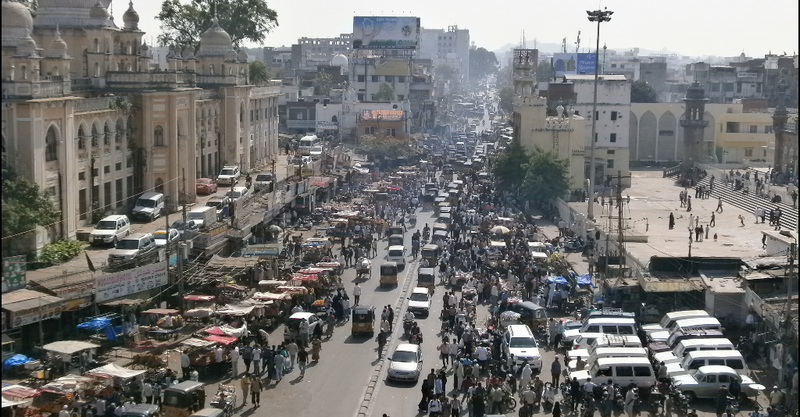 With this project, the Capital City of Telangana has the opportunity to improve its whole mobility system, but also to develop and amplify its entire urban strategy. Thanks to a dialogue between the stakeholders, this participatory workshop led discussions on how the metropolitan area of Hyderabad could take advantage of the metro project and increase accessibility for all the city dwellers. To pursue the city-to-city cooperation, a second workshop would be held in Bordeaux in May 2015. It will be the opportunity to understand themetropolitean strategy of Bordeaux and its urban planning integrating public transportation in the urban landscape, restricting private vehicles use and promoting walking and cycling. This second meeting should also focus on the institutional question, which was not adressed during the first workshop. Communauté urbaine de Bordeaux (La Cub) a été créée en 1968 par la loi portant sur les communautés urbaines. Elle devient Métropole le 1er janvier 2015. Ce passage en Métropole doit être une opportunité pour toutes les personnes qui habitent, travaillent, se déplacent, vivent… sur l’une des 28 communes de la Métropole bordelaise. L’objectif global est de faire de notre territoire une Métropole de niveau européen à haute qualité de vie ! Tout en préservant l’identité et le rôle de proximité de chaque commune, la Métropole sera un outil de rayonnement international fort.